The Forest of Bowland is one of England’s hidden gems – an Area of Outstanding Natural Beauty (AONB) tucked well out of the way off the beaten track between the Lake District and the Yorkshire Dales. And now there’s a new bus service that allows keen walkers to explore the Forest of Bowland without a long drive at either end of the day. The new 833 Bowland Explorer bus service links railway stations at the northern and southern gateways to the Forest of Bowland, providing easy access to the heart of the AONB. Operating on Sundays and Bank Holidays throughout the summer until September 24, the Explorer leaves Lancaster Bus Station and heads to the market town of Bentham, where it meets rail services from Leeds and Carnforth. The Explorer then travels through the AONB to Clitheroe, where it collects passengers from Blackburn, Bolton and Manchester before making two more trips across the Forest, ultimately returning via Bentham to Lancaster. The route provides visitors from both Bentham and Clitheroe with several hours to explore some of the most scenic parts of the AONB before returning to catch the train home from the most convenient station. As well as offering access to some superb walking country, the journeys to and from the start point for your walk offer outstanding views of this spectacular landscape. Passengers can relax and admire truly stunning views of the Yorkshire Three Peaks and – on a clear day – the Howgills and the Lakeland Fells. 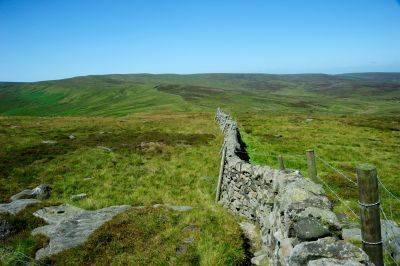 From the highpoints of Bowland Knotts and Cross o’ Greet, the spectacular views stretch for dozens of miles offering a tantalizing foretaste of the day’s adventures and a fitting finale to a perfect day. This enchanting landscape is readily accessible in less than two hours by train and bus from across Lancashire and West Yorkshire. So lace up your boots, pack a picnic and escape to an oasis of outstanding natural beauty without the hassle of a long drive at either end of what is guaranteed to be a grand day out in the Forest of Bowland. Part-funded by the Seed-Corn Fund of Arriva Rail North Ltd (Northern), the Bowland Explorer bus service is a joint initiative between the Leeds-Morecambe Community Rail Partnership, the Forest of Bowland AONB, the Dales and Bowland Community Interest Company, which manages most of the Sunday DalesBus network in and around the Yorkshire Dales. The 16-seater bus connects with Bentham Line rail services from Leeds and Morecambe at Bentham Station and with Clitheroe Line services from Manchester, Bolton and Blackburn at Clitheroe station. Download the timetable here. The longer walks listed here traverse farmland with livestock, steep ascents and rough terrain, so it’s worth consulting the Forest of Bowland AONB’s advice on walking safely to make sure you’re ready for the challenge! 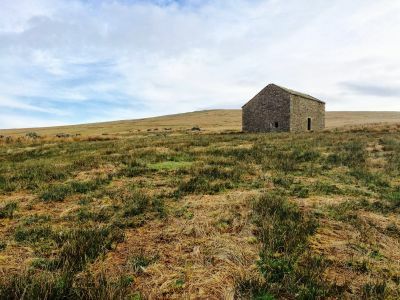 This satisfying half-day hike starts from either Bowland Knotts, Cross o’ Greet or Cross o’ Greet Bridge and can comfortably be completed from either the Bentham or Clitheroe direction on the 833 Bowland Explorer service. Click here to see the route. 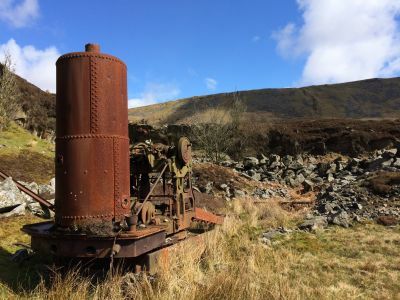 An absolutely gorgeous walk that showcases the very best of the Bowland valleys. Alight at Newton and follow a figure of eight route to Dunsop where refreshments are always available at Puddleducks Café. Return to Newton to catch the return bus service. Download the route here. The Dale Head Ramble may only be five miles, but it involves some sustained climbs to earn great views out over Stocks and the woodland. Detour to the Gisburn Forest Hub for refreshments and stop off at Dalehead Chapel on the return journey via the Hub Link Trail. Alight at Gisburn Forest Hub. Maps available from the Hub or online here. Explore the restored traditional wildflower meadows around the Slaidburn on this leisurely wander through the verdant pastureland beside the River Hodder then treat yourself to tea and cakes at the idyllic riverside café or lunch at the Hark to Bounty Inn. Alight at Slaidburn. Download the route here. Allow at least three hours to complete the entire circuit – more if you plan a detour to the café at the Gisburn Forest Hub for welcome refreshments. Drinks and snacks also available at the fishing lodge most weekends in the season. Start from the Stocks Reservoir East Car Park from Bentham or the request stop at Copped Hill Clough north of the Stocks Reservoir West stop from Clitheroe. Download the route here.